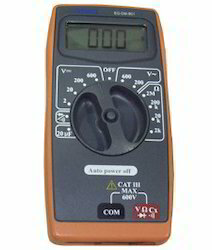 Leading Manufacturer of digital clamp meter, digital multimeter, digital panel meter, standard digital multimeter, true rms autorange multimeter and trms digital multimeters from Chennai. 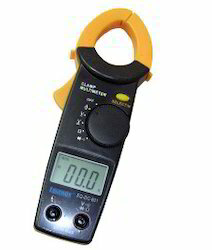 We are instrumental in offering finest quality Digital Clamp Meter to our valuable clients. 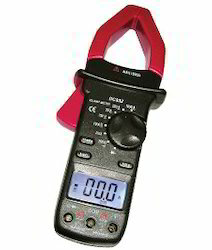 The offered clamp meters are a very convenient testing instrument that permits current measurements on a live conductor without circuit interruption. The provided clamp meter is designed using the best quality component and modern technology. The provided clamp meter is available in varied sizes and specifications for our clients to choose from. 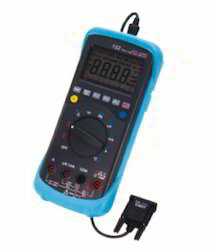 Owing to the dedication of our diligent professionals, we have earned a reputed name in manufacturing and supplying the finest quality assortment of Digital Multimeter. 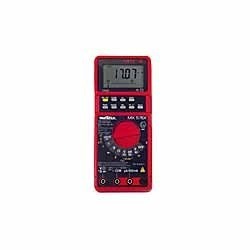 Offered multimeter is designed under the vigilance of our adept professionals using top notch quality component and sophisticated technology. 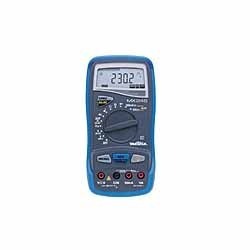 The provided multimeter is also called a volt-ohm meter or VOM, is a device that measures resistance, voltage and current in electronic circuits. With a precise understanding of the relevant industry, we introduce ourselves as the leading manufacturer and supplier of Digital Panel Meter. Used for offering support to all type of communication interface standards, this meter is manufactured using advanced technology and premium quality components in line with industry norms. Our provided meter is tested on different quality measures in order to ensure its quality. In addition to this, provided meter is highly appreciated in the market for its various parameters like high strength. With firm commitment to quality, we are presenting for our clients a vast range of Standard Digital Multimeter that is used in different industry sectors like construction & automotive industry, computer sector and in other areas. The offered multi-meter is manufactured using ultra-modern technology and premium quality components in line with industry norms. Apart from this, provided multi-meter features digital LED display and provide high accuracy in the generated data. 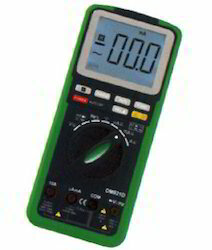 We provide this multimeter in varied specifications and designs as per the requirements of our clients. • LED back light system for operation under poor illumination. • Shock absorbing holster add an extra protection and provide a built-in tilt stand. As soon as it came on the market, the MX 24B became the reference among 5,000-count TRMS digital multimeters. It has an ADP input and can be connected to a wide range of accessory probes: luxmeter, ammeter clamp, thermometer, etc. · Dimensions 170 x 80 x 35mm, weight 300g. This ATEX-certified product is designed for use in hazardous or explosive environments involving gas or dust, in accordance with the EN 50014, 50020 and 50281-1-1 standards. It is equipped with a 500mA fuse and the patented SECURIX system to prevent untimely disconnection of the leads. It is supplied in a bag with some of its accessories. · RS232 optical interface available as an option for transferring the measurements onto a PC or printer. functions: alarms, metering, printing, memory, max, min and average values, ect.